Please note that the timetable will be subject to change as we make final confirmation of speakers and sessions over the next few days. Further session to be confirmed. Walk and talk – photography and ideas. Join other photographers for an informal and enlightening walk with members of Lunar 21. This is a 21st Century reincarnation of the 18th century Lunar Society, a group of Midlands entrepreneurs who met on evenings near the full moon so they would be able to find their way home afterwards. Like its forerunner, Lunar 21 seeks to develop thinking skills through the sparking of ideas between disciplines, and aims to take a long view of current issues. This entry was posted in General posts on April 25, 2010 by admin. 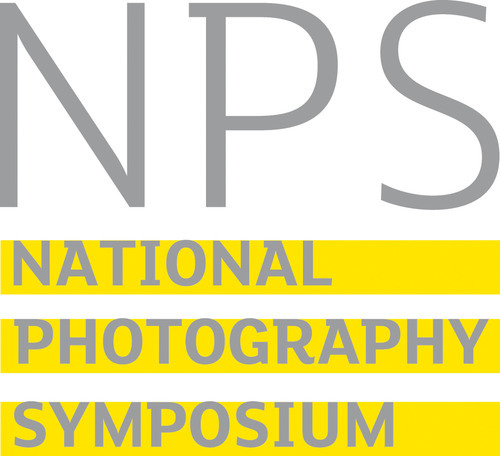 Please scroll down for details of speakers at the 2010 National Photography Symposium. Charlotte Cotton. British curator Charlotte Cotton recently became the creative director for the National Media Museum in Bradford, England and will be heading up the planned expansion of the museum in London. Previously Cotton was the curator and head of the Wallis Annenberg Department of photography at the Los Angeles Country Museum of Art, head of programming at the Photographer’s Gallery, London photography curator for the Victoria & Albert Museum in London for several years and is the founding editor of Words Without Pictures. Christian Payne. An experienced journalist, Christian Payne (AKA @Documentally) maintains and host blogs and podcasts with readers and listeners in over sixty countries. With a hand in social media, citizen journalism, professional photography and audio & video podcasting, his recent projects have included documenting the plight of Iraqi refugees for the United Nations; Video Blogging for the British Council in Pakistan and Hong Kong and working alongside Reuters on groundbreaking projects with Gordon Brown, David Cameron and Nick Clegg. Christian shows by doing, he helps organisations place themselves on the platforms and devices of their audience to get them engaging. Christian mainly blogs at www.OurManInside.com and http://Documental.ly. See also www.ChristianPayne.com. David Hoffman has specialised in social issues photography for more than 30 years. Resolutely independent, he primarily shoots stock for his own photo library, rather than working to commissions. Much of his work centres on the increasingly visible control that the state exerts over? ?our lives and choices. Racial and social conflict, policing, homelessness, drugs, poverty, social exclusion and environmental protection are documented, often through coverage of protest. A founding member of Editorial Photographers UK and Photo-Forum London, with a critical interest in issues around copyright and intellectual property, David is actively engaged on the frontline of his beleaguered profession. Francis Hodgson writes on photography for the Financial Times and is a consultant on various aspects of photography to a wide roster of clients. He is the chairman of the panel of jurors of the Prix Pictet, the world’s richest photographic prize, upon the executive of which he also sits. Hodgson was until 2009 the head of the photographs department at Sotheby’s in London. He has been a writer on photography for many years, including stints as contributing editor on photography for Art Review, and a regular contributor to The Economist. He was once VP for content development at Eyestorm, the online art dealer and before that was the founding European creative director for Photonica, a major photographic stock library. Hodgson has been a gallerist both in the private sector and the public, has been a frequent visiting lecturer at photographic schools (and used to teach a course in the culture of photography at the Royal College of Art). In another life, Hodgson is the author of one of the very few full-length studies of the role of the goalkeeper in soccer (Only the Goalkeeper to Beat, Macmillan, 1998). Grant Smith is an internationally acclaimed architectural and construction photographer. Australian born, he has lived and worked in London since 1983 and has an extensive knowledge of London’s architecture. His body of work includes some of the world?? ?s iconic structures : the Pont de Normandie, second Severn Crossing, the Sydney Harbour tunnel, the Millennium Bridge, the Millennium Dome and the Gherkin in London. He is commissioned by all sectors of the industry including design companies, magazines, architects, contractors and engineers. Recently he has become involved with I’m a Photographer, Not a Terrorist because of frequent harassment and questioning by security guards and police officers while taking architectural photographs on the streets of London. His portrait work takes him beyond the architectural and construction industry and into all sectors of commerce. He was Chairman of the Association of Photographers for 2 years from 2001 to 2003. He is a member of the Hackney Design Review Panel. Huw Davies is a filmmaker, photographer, curator and academic. Over the last thirty years his work has been exhibited and screened around the world, most recently winning awards at film festivals in Barcelona, Houston and Rome and being network broadcast on FR1, ARTE and Canal +. He has taught at several Universities in the UK and USA, including the role of Director of Studies for undergraduate and post graduate programmes in photography and film at Edinburgh Napier University and the University of Sunderland. He was Artist Fellow in Residence at the University Derby in the mid 1980s and recently returned to the University in 2007 as Dean of the Faculty of Arts, Design and Technology. Huw has contributed to the organisation and development of several creative industries and arts organisations and is currently on the board of QUAD, Derby Theatre, Format International Photography Festival and is Artistic Director and Chair of the Board of the Berwick Film & Media Arts Festival which he co-founded in 2004. John Darwell is an independent photographer working on long-term projects that reflect his interest in social and industrial change, concern for the environment and issues around the depiction of mental health. To date he has had seven books of his work published, of which the most recent are Dark Days (Dewi Lewis Publishing 2007) documenting the impact of foot and mouth disease around his home in north Cumbria, and a twenty five year retrospective Committed to Memory (Tullie House Museum & Art Gallery 2007). His work has been exhibited, and published, widely both nationally and internationally, including numerous exhibitions in the UK, the Netherlands, Italy, the USA, (Houston, New York and San Francisco) Mexico, South America and the Canary Islands, and is featured in a number of important collections including the National Museum of Media/Sun Life Collection, Bradford; the Victoria & Albert Museum, London and the Metropolitan Museum of Art, New York.John gained his PhD in 2008 for his research A Black Dog Came Calling and currently lectures in photography on both BA and MA courses at the University of Cumbria in Carlisle.Further examples of John’s work and additional background information can be found at: http://cumbria.ning.com/ and www.johndarwell.com. John Harris has been a photographer for more than 30 years. Having completed a degree in fine art as a photographer he then worked under Simon Guttman at the original Report/IFL for more than a decade and has worked in the social documentary tradition throughout. He started www.reportdigital.co.uk, one of the first online picture libraries but continues to take pictures as well as manage the business. John has almost no experience of public speaking as will be evident! John Toner is the NUJ’s National Freelance Organiser, responsible for advising and assisting freelances across all sectors of the industry. He was part of the team that initiated and devised the Metropolitan Police Guidelines on dealing with the media, which he then persuaded ACPO to endorse. Recently, he has taken part in police briefings ahead of major public order events and spoke to police forces as part of their public order training. Linda Royles was CEO of BAPLA (British Association of Picture Libraries and Agencies) from 1998-2008. She is currently BAPLA’s senior consultant. She sits on numerous boards: British Photographic Council, Creative Rights Alliance, Publishers Content Forum and is a member of the British Copyright Council. She works on digital rights strategy, marketing and standards. When she is not advising small companies, she works as an earth sculptor. Michal Dybowski was born in August 1979 in Poland (Lodz). Graduated Academy of Humanities and Economics (Poland, Lodz) in 2001. Interested in photography since 1986 when having fun with his dad in home – made dark room in his flat bathroom (mum wasn’t happy at all). Since 2001 using only digital cameras. Currently focused on HDR and portrait photography. Big supporter of post-processing and image editing. Apple Mac and Canon user. Photography, modelling and cultural podcasts host. Hobby: blogging, learning, volleyball, ict, marketing, travelling. Hates: winter sports (it’s toooooo cold). Dream – to be a volleyball line judge on London 2012 Olympic Games; if not, to be an accredited photographer. Fav quotation: “Nothing great was ever achieved without enthusiasm” (author – unknown). Nick Dunmur Born Oxford, 1966, Nick spent all his formative years in Sheffield. Nick moved to Nottingham in 1985 and completed a BA degree in Photography at Trent Polytechnic, graduating with First Class Honours in 1988. He formed a photographic business almost immediately and so began his commercial professional career. Twenty-one years and a decent client list later (Paul Smith, Triumph Motorcycles, Yamaha Motorcycles to name but three), Nick is progressing his own work and photographic interests. Nick is presently involved in professional commissions from Triumph and Paul Smith and in producing photographic work for two major environment-driven photography print works; Edgelands and Rising & Sinking Lands. He is a non-executive director of the Association of Photographers (AOP) and since October 2008 has been Acting Chairman. He is also one the founding members of Pro Imaging and represents them on the board of the British Photographic Council. In addition to the advertising and commercial aspects of his work, Nick has recently joined with two colleagues in setting up LIMN, an art agency developed to facilitate the production of artwork, primarily in moving and still image-based media. Paul Ellis After graduating in Fine Art in the late 1970’s, AoP and EPUK member Paul Ellis has been a freelance professional creative for over thirty years as a session musician, R&D researcher for a major Japanese electronics manufacturer, professional photographer, and latterly, “The Digital Plumber”, an Apple Macintosh computer consultant to commercial and advertising photographers. Paul co-founded the campaign website Stop43.org.uk. Paul Herrmann has been a freelance editorial photographer since the mid 1980s, specialising in social issues and the arts. In the late 1990s he helped start Redeye, the Photography Network, and now directs it. Through Redeye he helped set up Photomobile, the travelling photography centre, the Look series of festivals, and the National Photography Symposium. Pippa Walkley is Skillset’s Photo Imaging Sector Manager. Before joining Skillset, she worked as a freelance photographer, a lecturer at St Martin’s School of Art and more recently as Production Manager for a Bristol based independent pro-lab.Pippa says she was hooked on photography from the age of seven, after seeing her first print develop in a home darkroom, and following a formal photographic education has spent her whole working life in the photographic industry In her current role, she researches the skills, training and education issues of the photo imaging industry and its workforce and leads on strategic development and action plans to support and benefit them. Pippa also sits in an invited capacity on a number of advisory panels, including the BIPP Continuing Professional Development Board and the RPS Education Committee. Robert Pledge was born in 1942 in London, UK and moved to Paris, France at the age of ten. A student of West African languages and anthropology, he found his way into journalism as a specialist in African affairs. The president of Contact Press Images, which he founded with American photographer David Burnett in New York in 1976, he has edited many highly-acclaimed books and curated exhibitions throughout the world, in Amsterdam, Bamako, Beijing, Berlin, Brussels, Dhaka, Lausanne, London, Madrid, Mexico City, New Dehli, New York, Paris, and Tokyo. A major presence in the photographic community, he has conducted master classes in Bangladesh, China, India, Mali, Turkey, and Switzerland, and has sat on many juries, including the W. Eugene Smith Fund in the USA, the CNA Mosaique program in Luxembourg, and the World Press Photo Foundation in Amsterdam, The Netherlands, which he chaired in 2001. In 2004 he received the Overseas Press Club’s “Olivier Rebbot Award” for the book Red-Color News Soldier, which he authored with Li Zhensheng. He commutes between Paris and New York. Rut Blees Luxemburg is an artist who works with photography. She explores cities and their complex relationships to modernity via the potential of the public space. The cities she has worked in range from London, Paris, Dakar, Swansea to Santiago. Her work has been exhibited internationally and included in key publications and exhibitions on contemporary photography. The opera Liebeslied/My Suicides, based on her photographic series Liebeslied, and made in collaboration with the philosopher Alexander Garcia Duttmann and the composer Paul Clark, premiered at the ICA in London and has been shown subsequently as a video work. She has recently made a public art installation Piccadilly’s Peccadilloes commissioned by Platform for Art, which is sited at Terminal 4 Heathrow Airport. Steve MacLeod Steve Macleod is Creative Director for one of Europe’s leading imaging companies, Metro Imaging, where he has overall responsibility for production workflow and client liaison. With 25 years of experience he is internationally recognised as a heavyweight printer, and has forged very close alliances with many clients including VII Photo, Magnum, David Bailey and Mario Testino to name a few. He also works with many contemporary artists and consults on all levels of production from image editing through to final presentation and finishing. Steve is a co-Director of Foto8 magazine and HOST Gallery; a practising photographer represented by Atlas Gallery in London; he commissions and curates photographic collections and has published several books on photography. Yasmina Reggad graduated in Middle Ages History at the Sorbonne University in 2000. She has worked for about 10 years in books promotion and in the publishing industry. She has lived and worked in Paris, Mexico, Montreal and Madrid. Yasmina is a now an independent photography curator based in the UK and director and founder of the not-for-profit organisation Photo-Festivals / Foto-Festivals Ltd. She created the Crossing Point Residency, a short-term residency for emerging photographers which takes place during the opening week of photography festivals. She has recently collaborated on a long-term project with Format09 International Photography Festival (Derby, UK) organising and curating the first encounter of photo collectives in the UK for which she has curated the collective exhibition “Time”. She is presently working on projects related to photography in the Middle East and Brazil. Yasmina Reggad has received bursaries from International Curators Forum (Young Curator Workshop programme, in partnership with Tate National and Sharjah Biennial, 2009). This entry was posted in General posts on April 23, 2010 by admin. If you buy a weekend ticket to the Symposium you can apply to show your work in a 15-minute slot during one of the breaks – an excellent opportunity for exposure. Please note this is first come first served, and places are very limited. When you buy your ticket please tick the box requesting a slot. We will then contact you to let you know if you have been successful and with further details. The deadline to apply for a slot is 17:00 on 10 May 2011. Bring your work on a USB memory stick or CD only, PowerPoint or JPEGs. This entry was posted in General posts on April 22, 2010 by admin.